Poets Row is one of the more interesting blocks in Denver. Located on Sherman Street between East 10th and East 11th Avenues in the Capitol Hill neighborhood, Poets Row is part of the locally designated Sherman-Grant Historic District. 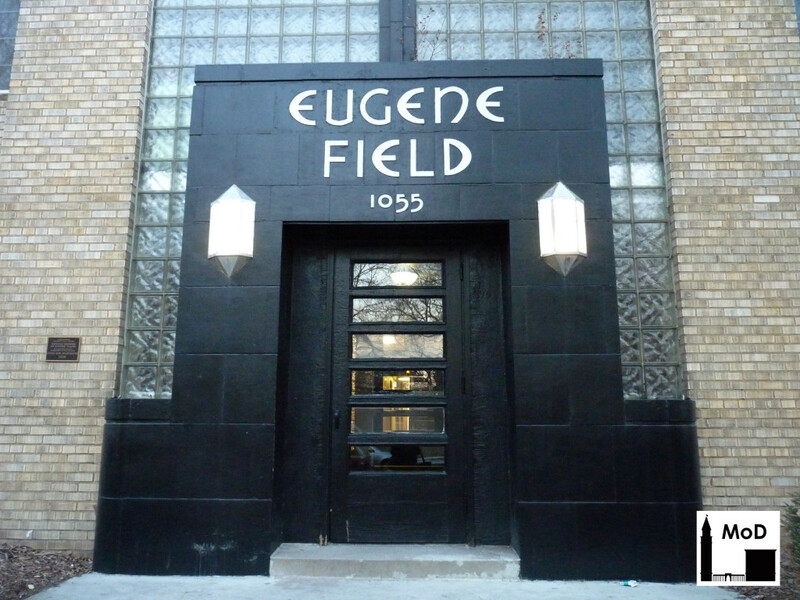 The three- and four-story Art Deco and Moderne-style apartment buildings were all erected between 1929 and 1956, and were named after famous poets. Most of the buildings at Poets Row were designed by architect Charles Strong, though a few of the earlier buildings were designed by Andrew Willison. 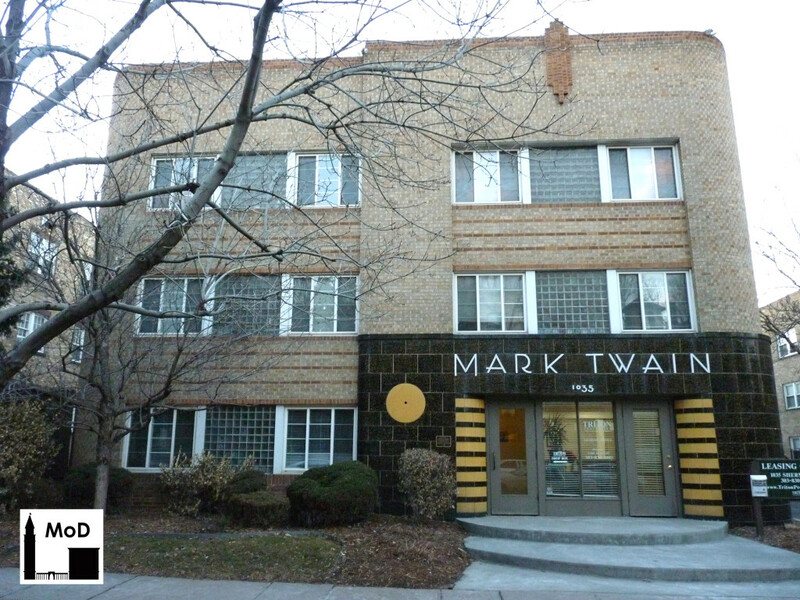 The Strong-designed buildings include The Mark Twain, built in 1938. 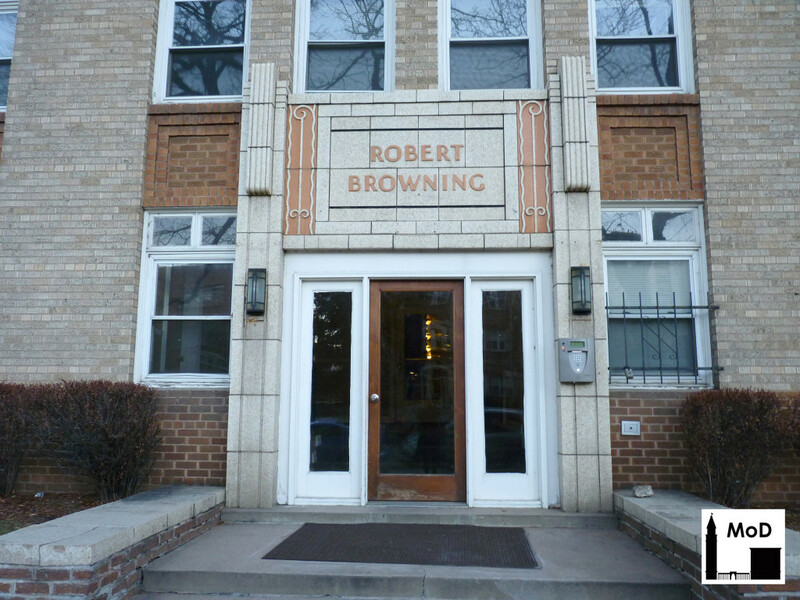 The Robert Browning, designed in 1937. And the James Russell Lowell, designed in 1936. Other Poets Row buildings not pictured are the Robert Frost (Willison, 1929), the Louisa May Alcott (Willison, 1931), the Thomas Carlyle (Strong, 1936), the Nathanial Hawthorne (Strong, 1938), the Eugene Field (Strong, 1939), the Sherman Arms (Strong, 1950), and the Emily Dickinson (1956). As you can see, the buildings are characterized by polychrome brick with terra cotta at the entrances. Many of the buildings have strong horizontal features, such as ribbon windows or bands of different colored brickwork. The buildings are also set back from the street, giving the row a more genteel, residential feel despite its highly urban setting. 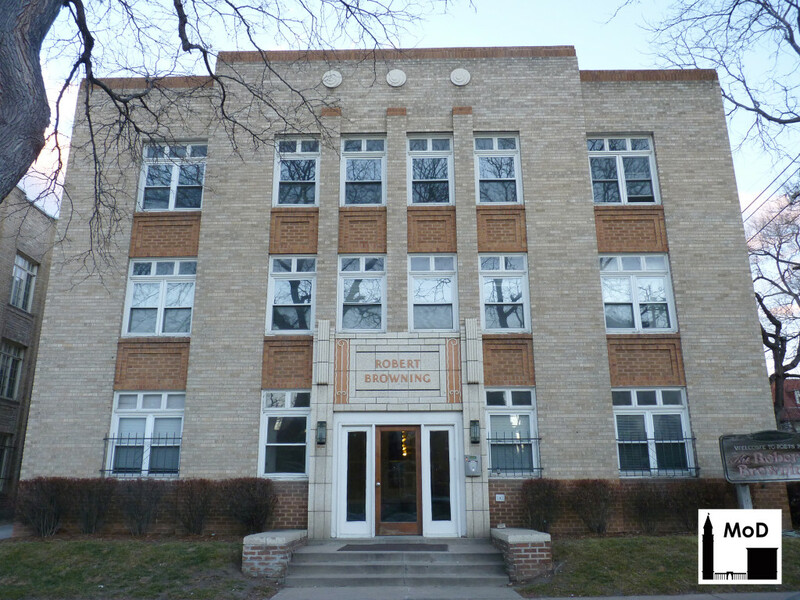 Each building in Poets Row has an entrance feature executed in a a type of terra cotta known as ceramic veneer, a thick ceramic tile that was adhered to backup masonry using a cementitious mortar. Each entrance has its own color scheme made with mottled glazes. 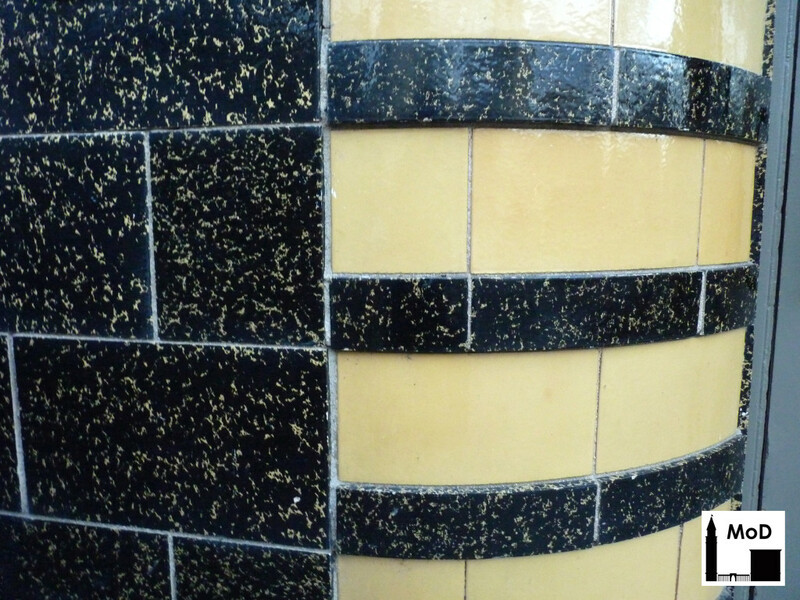 The Mark Twain’s is the most unique: the main ceramic veneer is nearly black with yellow accents, while the accent color is a bright yellow. The Robert Browning has a mixture of buff and beige mottled ceramic veneer and terra cotta, plus some peach-colored accents. 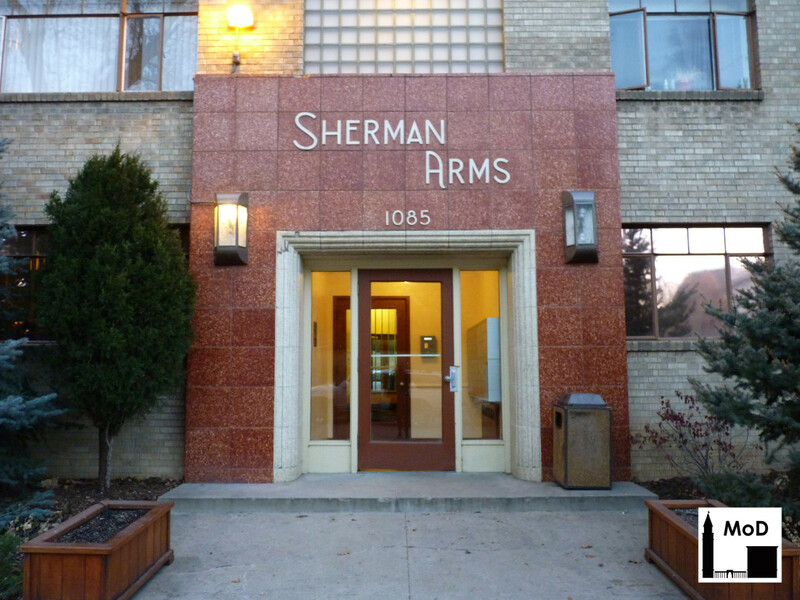 The Sherman Arms, one of the later buildings to be constructed on Poets Row, has an entrance surround made of deep ochre colored ceramic veneer with beige accents, plus a fluted band of beige ceramic veneer around the doors. Most of the terra cotta and ceramic veneer is in good condition at Poets Row, though you do see the occasional cracking at corners. This may be due to settling of the ceramic panels, detachment from the backup masonry, or corrosion of the steel lintel behind the units. The spalling and cracking in the photo below is probably from freeze-thaw deterioration caused by water getting into open mortar joints in addition to other stresses. Unfortunately, some of the terra cotta entrances at Poets Row have been painted over. 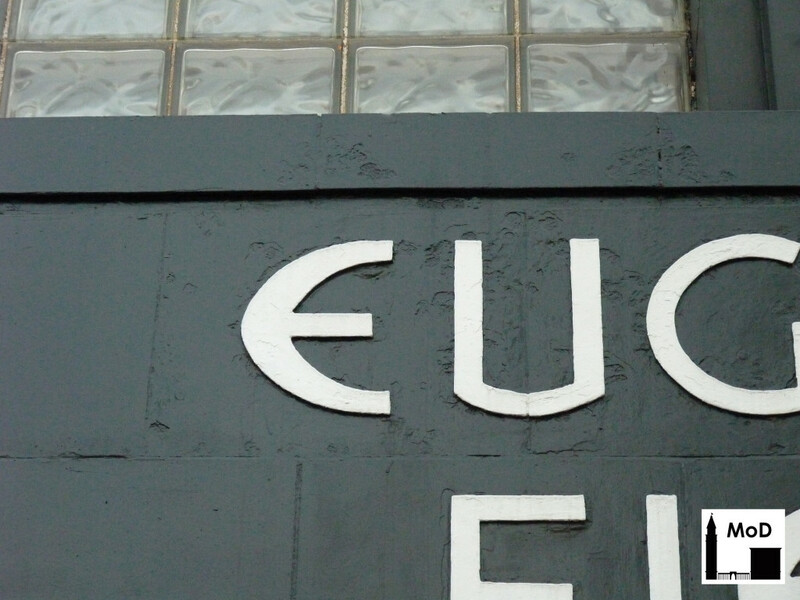 The Eugene Field is painted a uniform black color with white lettering. It was probably painted to mask spalling of the glaze, which you can see when you look closely at the top of the entrance in the photo below. 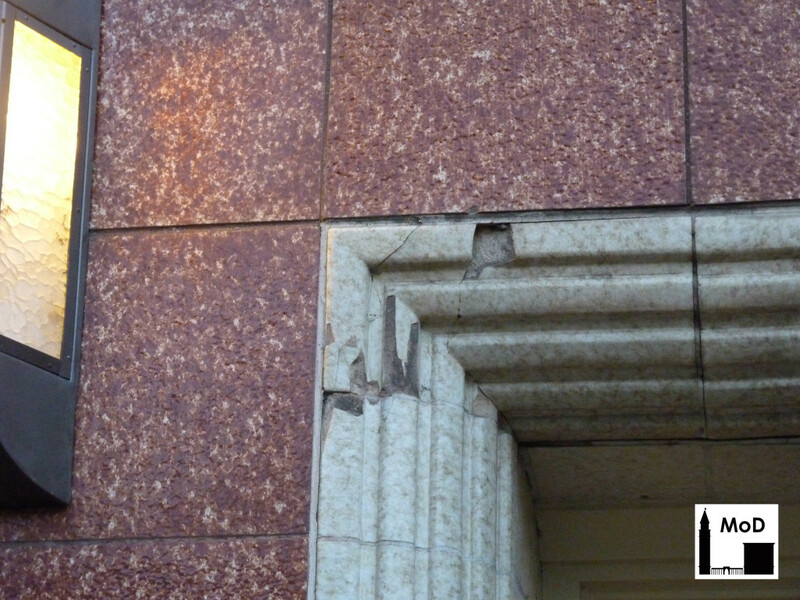 The quality of the terra cotta may have been poor by the late 1930s, but it is more likely the building may not have been maintained to the same degree as its neighbors. Rain water and snow probably collected on the window sill above the entrance for decades. 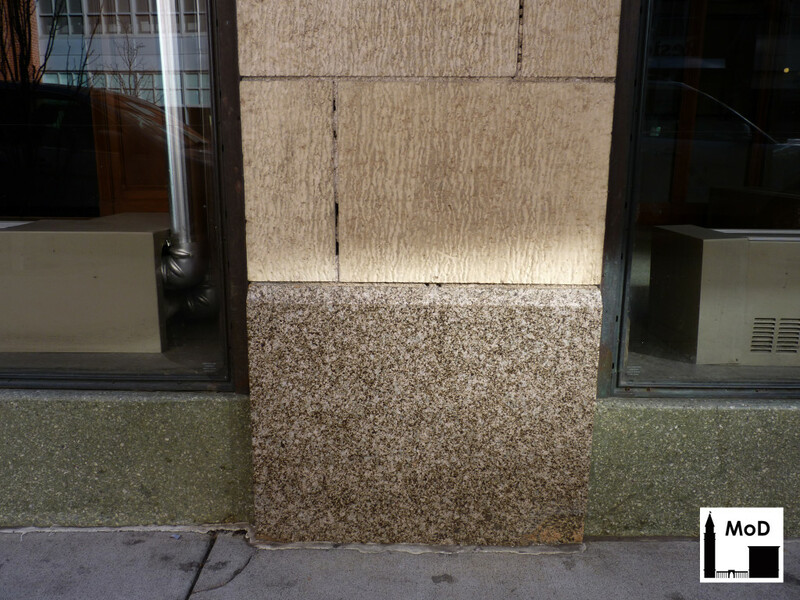 If the joints between the masonry units and at the window were not maintained properly, moisture infiltrated the ceramic veneer. 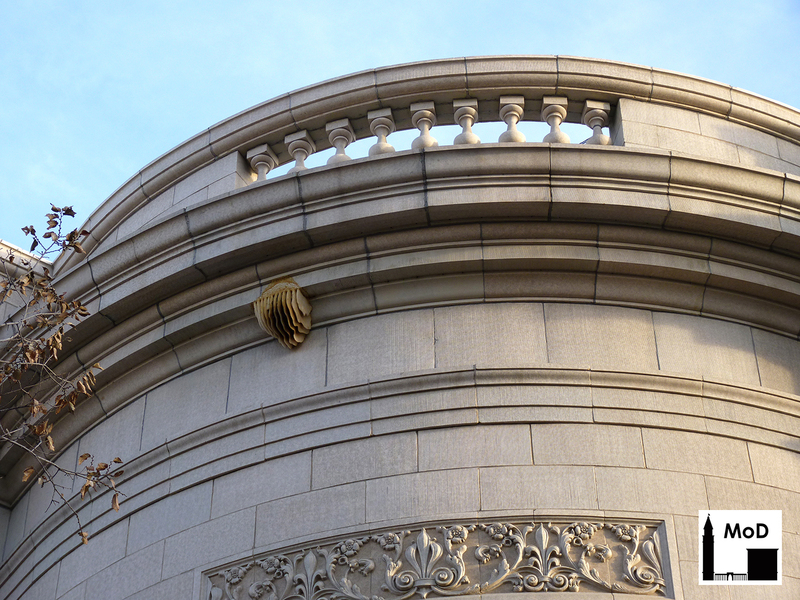 As the moisture froze and thawed and tried to evaporate, the glaze spalled from the face of the ceramic veneer leaving unsightly blemishes on the building’s entrance surround. Painting it hides the blemishes, but it results in trapped moisture, furthering the cycle of deterioration. 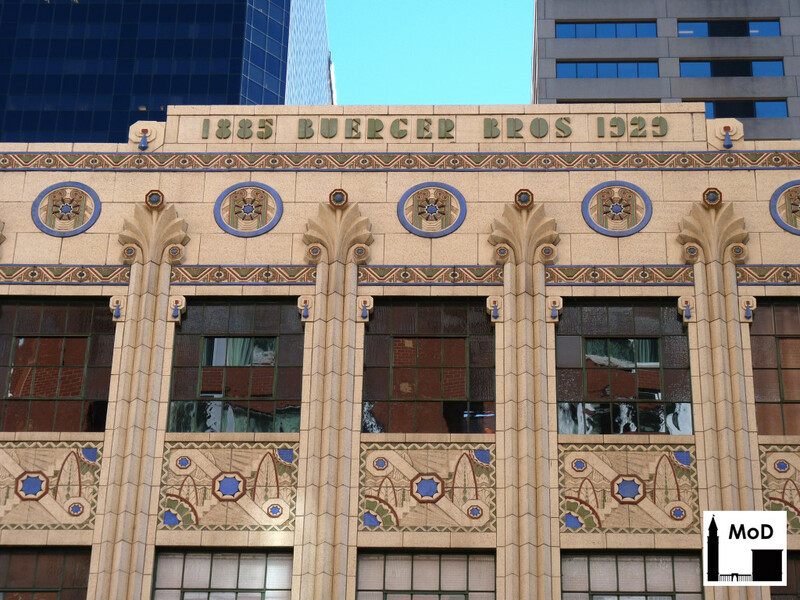 The Buerger Bros. Building in Downtown Denver is one of the most amazing examples of polychrome terra cotta that I have ever seen. 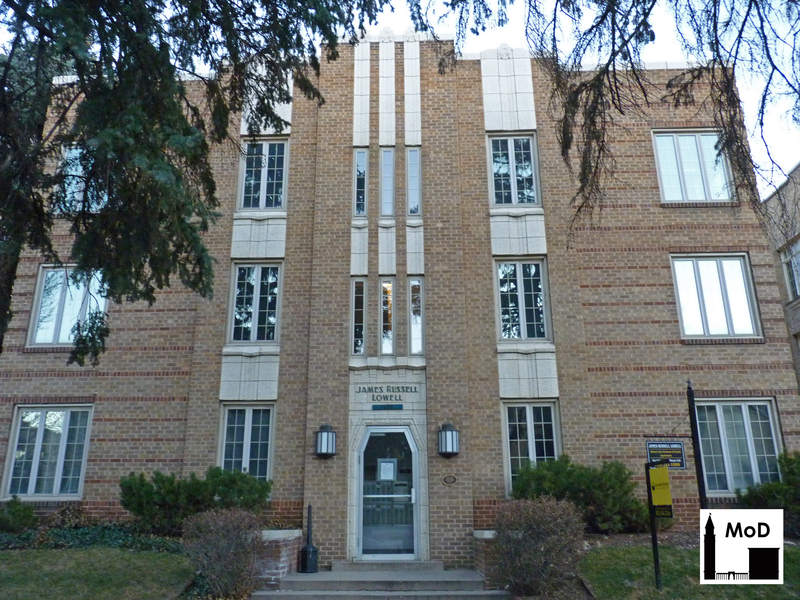 This five-story exuberant Art Deco-style building was constructed in 1929, and was designed by Denver architect Montana Fallis. The terra cotta was supplied by the Denver Terra Cotta Company, who teamed up with Fallis one year later on the Mayan Theater. 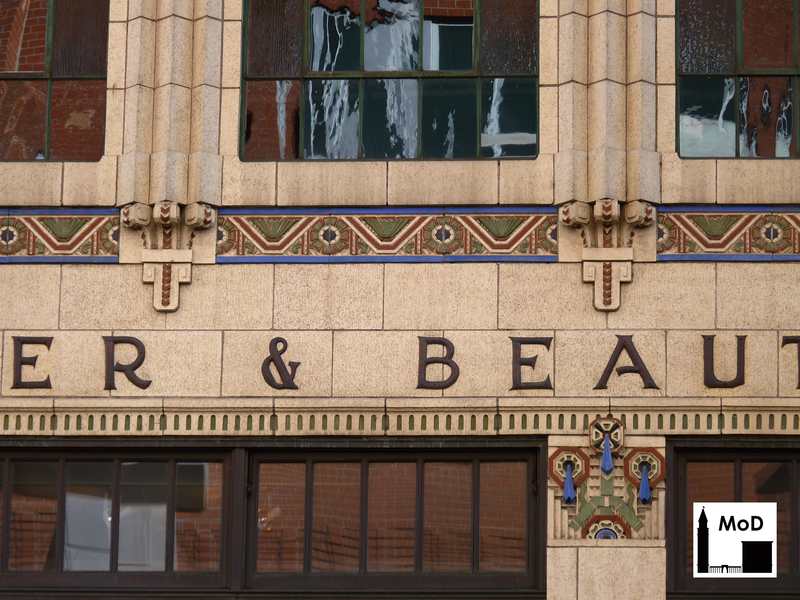 Buerger Bros. were a beauty- and cosmetics-supply store who also manufactured proprietary beauty products. 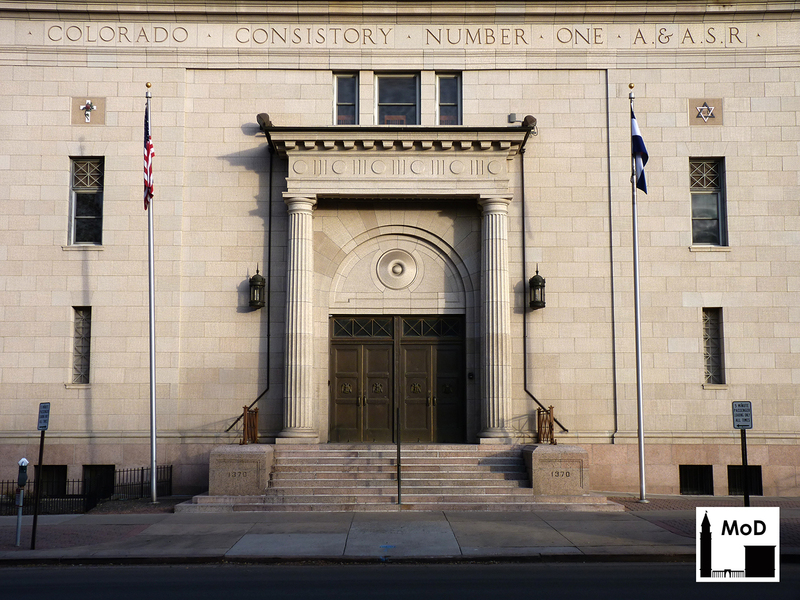 The company was founded in Pueblo in 1885 and moved to Denver in 1888. 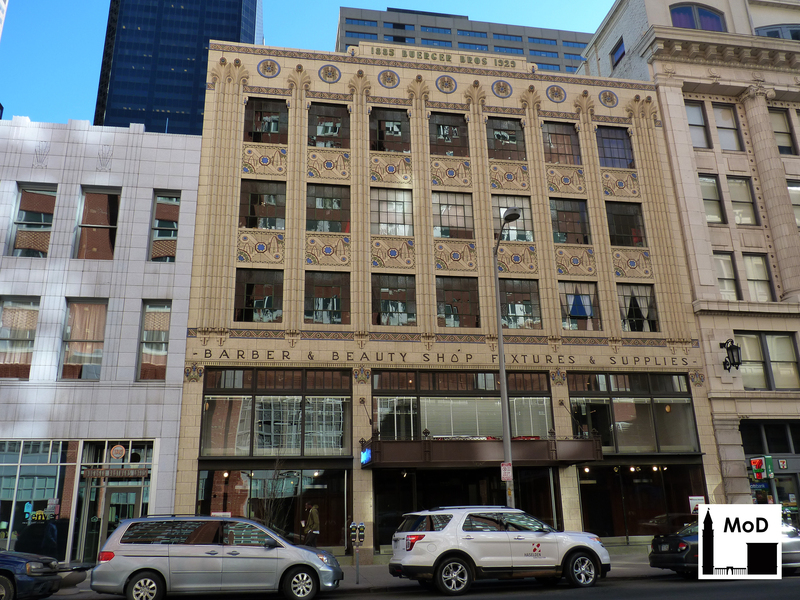 They erected this office building and store on Champa Street in Downtown Denver in 1929, where they remained in business until 1983. The building is now residential lofts. Architecturally, the Buerger Bros. building was designed with a verticality that gives it the appearance of a much taller and more grand structure. The fluted piers between each window bring the eye up to wonderful, stylized anthemia, which splay into the terra-cotta frieze. The frieze is framed at the top and bottom by zig-zag patterned projecting bands, and has polychrome roundels containing stylized floral motifs. It is by far a masterwork of Art Deco ornament. But let’s look more closely at the masonry. There are two types of terra cotta on the façade: mottled, glazed terra cotta and polychrome terra cotta. The mottled, glazed terra cotta makes up the body of the building. It was manufactured by spray-applying a beige-colored glaze layer onto each dried terra cotta unit, then lightly spraying a second, slightly darker beige glaze layer in a speckled pattern on top of the first glaze. The terra cotta was then kiln fired to form a vitreous glaze on the porous clay body. The polychrome terra cotta, found at the spandrels, cornice, and the second-floor column capitals, was made with both hand-painted glazes and spray-applied mottled glaze. The polychrome hand-painted glazes were applied first. Once those dried, the terra cotta manufacturer must have applied some sort of masking over the polychrome elements to protect them from the spray-applied mottled glaze. I would guess some sort of wax was used that easily burnt off in the kiln without affecting the finish of the glazes, though I am not sure how it was actually done. If you look closely at the terra cotta in the photo above, you can see the intricacies of the polychrome units. You can also see in the photo below that the mottled glazed units had a rough texture so that the terra cotta could more closely mimic eroded sandstone or limestone. 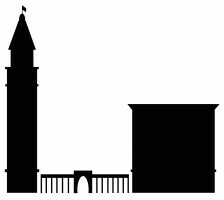 The vertical orientation of the combing marks also contributes to the building’s vertical appearance. Finally, I want to bring your attention to the base of the building, which is shown in the photo above. It is fairly common for builders to use natural stone such as granite at the bottom of a building, as granite is more durable than terra cotta in wet conditions. Building bases tend to be wetter than piers due to rain or snow collecting along the sidewalk. They are also subject to regular applications of de-icing salts in winter. 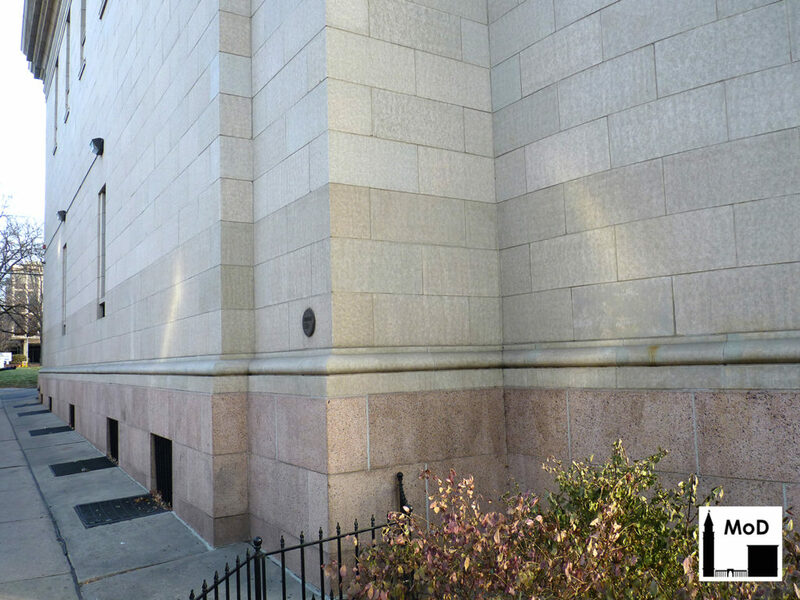 At the Buerger Bros. building, there are two types of masonry at the building’s base, neither of which are granite. The green speckled units that support the windows are cast stone or terrazzo. 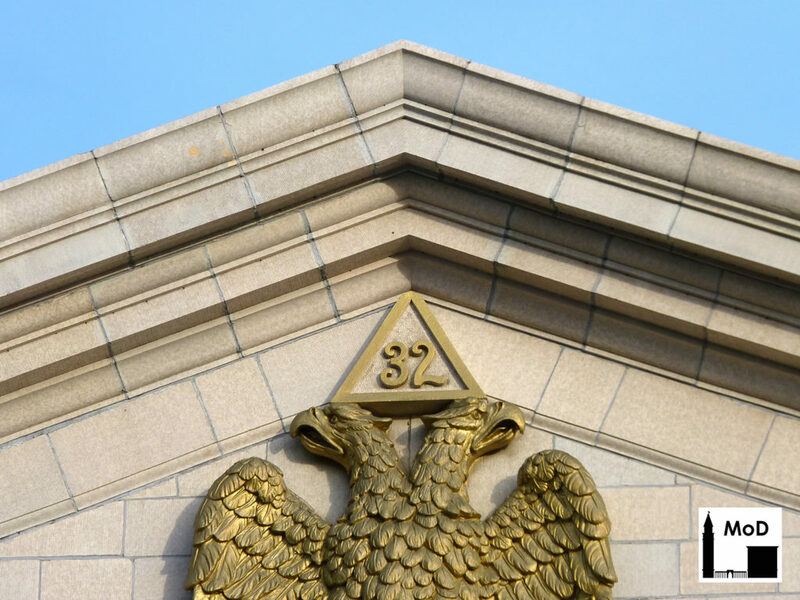 They do not call to mind any natural stone, but their color complements the rest of the terra cotta masonry. The dark brown masonry units at the bases of the piers, however, are actual terra-cotta units. They are so convincingly glazed that it is nearly impossible to tell the difference between these terra-cotta units and actual granite. The only clue is a spall at the lower right where you can see the tan-colored clay body of the terra cotta behind the glaze. 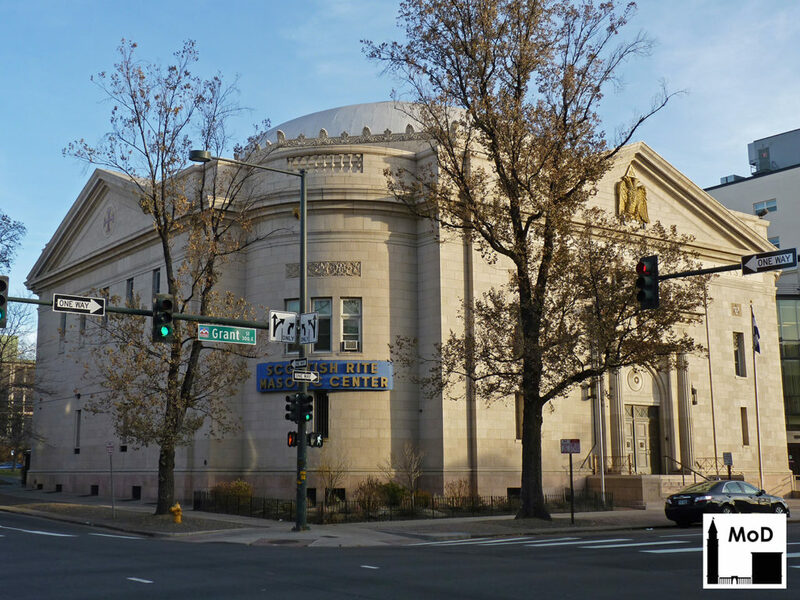 It just goes to show you that the Denver Terra Cotta Company knew their glaze technology and employed master glaze artisans at the end of the 1920s.